These Bible passages are referred to later in this lesson (here). Revelation 7:9-17 - "After these things I looked, and here was an enormous crowd that no one could count, made up of persons from every nation, tribe, people, and language, standing before the throne and before the Lamb dressed in long white robes, and with palm branches in their hands. They were shouting out in a loud voice, "Salvation belongs to our God, to the one seated on the throne, and to the Lamb!" And all the angels stood there in a circle around the throne and around the elders and the four living creatures, and they threw themselves down with their faces to the ground before the throne and worshiped God, saying, "Amen! Praise and glory, and wisdom and thanksgiving, and honor and power and strength be to our God for ever and ever. Amen!" Then one of the elders asked me, "These dressed in long white robes—who are they and where have they come from?" Is he living today? When will he take control of the world? The stage is set. A Great Dictator with unusual ability and power is about to appear on the world scene. The Bible clearly predicts that, in the last days, a "superman" will take over rulership of the world. Who is this Great Dictator? The Bible calls him "the Antichrist" or "the Beast." The word "anti" means "against." The Antichrist is against Christ, against God, and against all the people of God. How Does the Antichrist Gain Control of the World? The Antichrist gains control of the world through three means: 1) Political power, 2) Supernatural power, and 3) Religious power. Let us consider these. The Antichrist will emerge first as the leader of a powerful confederation of ten European nations. At first he will not appear to be an evil man at all. He will be a man of great ability and charisma. He will be a military genius, as well as the greatest politician the world has ever seen. The Antichrist will do the seemingly impossible! He will bring peace between Israel and the Arab nations. He will make a treaty with Israel, in which he will guarantee their security and safety. He will likewise satisfy the demands of the Arab nations. The world will marvel at his political ability. But the Bible calls him "the Beast." For some time now, comic strips, movies, and television programs have been preparing the world for the idea of a "superman." One reason why these comic strips and programs are so popular is that people like the idea of a "superman" who can solve their problems instantly. The Antichrist will be a real "superman." Just as Jesus had supernatural powers because He was God's Man, so the Antichrist will have supernatural powers because he will be Satan's man. Satan will give his power to the Antichrist. Not everyone will follow the Antichrist at first. Millions of people all over the world are very religious, and they will be skeptical of the Antichrist and his claims. But Satan has a plan to deceive them. In the book of Revelation, we are introduced to a second "beast." This man will be a great religious leader. The Bible calls him "the False Prophet." The False Prophet will have power to perform great miracles. Some people think that every miracle comes from God and those who perform them are servants of God. This is not true! Just because someone can perform miracles does not mean that he is from God. 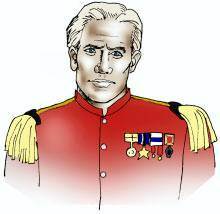 Satan has great power, and he can give miraculous powers to those who serve him. 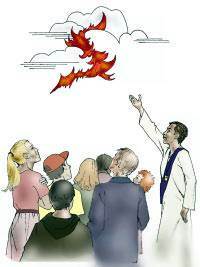 The False Prophet will be able to call down fire from the sky! Imagine what will happen when this is flashed by television all over the world. People everywhere will accept him as the prophet of God. Satan will use the False Prophet to deceive people into worshipping the Antichrist and following him. Satan craves our worship. 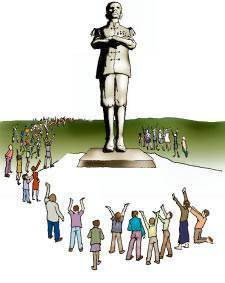 He wants to be worshipped as God. Those who worship the Antichrist or his image will, in reality, be worshipping Satan Himself. The False Prophet will work to bring all the religions in the world into one worldwide religion worshipping the Antichrist. The Antichrist will be assassinated! At some time during the Antichrist's rapid rise to world rulership something will happen which will shock the entire world. The unthinkable will happen—the Antichrist will be assassinated! He will receive a fatal head wound. Perhaps some assassin's bullets will blow off part of his head. Amazingly, this is not the end of the Antichrist. When everyone thinks that he is dead, he will suddenly reappear—alive and miraculously healed! Again we see Satan's hand in this. He is the great imitator. Just as God raised the Lord Jesus from the dead, so Satan will raise his man, the Antichrist from the dead. The news media will go ballistic! At first people will not believe that the Antichrist could possibly survive his deadly wound. But when he appears on worldwide television, people will see for themselves that he is indeed alive and miraculously healed. "They worshipped the dragon [Satan] which gave power unto the beast: and they worshipped the beast [the Antichrist], saying, Who is like unto the beast? Who is able to make war with him?" 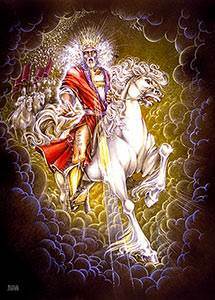 (Revelation 13:4). The Antichrist will reign seven years. During the first half of his reign, the Antichrist will be gaining control of all things. During the last half of his reign, he will be "the great Dictator"! The Antichrist will reveal his true nature—he is Satan's man, the most evil person of all time. This man may be alive somewhere in the world today! The last three and a half years of the reign of the Antichrist is called "the Great Tribulation." We cannot imagine the horrors of this time. Jesus said, "For then shall be great tribulation, such as was not since the beginning of the world to this time, no, nor ever shall be" (Matthew 24:21). During this terrible time, the False Prophet will make a huge image of the Antichrist. He will demand that all people worship this image. Wonder of wonders, he will give life to this image. The Bible says, "And he had power to give life unto the image of the beast… and cause that as many as would not worship the image of the beast should be killed" (Revelation 13:15 ). The False Prophet will try to kill every person who dares to believe on Jesus Christ or refuses to worship the image of the Antichrist. There is no middle ground. If you are not for the Antichrist, you will be considered as being against him. This will mean death for anyone who refuses to worship the Antichrist or his image. But how will the false Prophet know who are the true believers in Christ? He will devise a way to expose and identify those who believe in Christ. He will require that all Beast-worshippers receive a mark in their forehead or on their right hand. This mark could be a tattoo or an implant of a tiny computer chip that permanently identifies a person as a worshipper of the Antichrist. This may sound far-fetched, but right now things are taking place that are setting the stage for these events. Have you noticed the unusual markings on almost all products that are sold? These strange markings are known as the "Universal Product Code." They are being used worldwide to permanently identify all products. At checkout counters, the product is pulled past an optical scanner which reads the markings and flashes the information to a computer. Everyone is familiar with plastic credit cards which enable people to buy without using cash or checks. Credit cards are coded with an identification number for each person. The problem with plastic credit cards is that they can be lost or stolen. The misuse of credit cards costs companies untold millions of dollars each year. One solution to this problem is tattooing the person's unique identification number on his hand. This can be done instantly and painlessly using a laser beam. With this solution, there is no way a person's identification number could be lost or stolen. 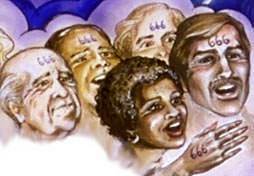 During the reign of the Antichrist, everyone will be required to have a permanent identification number on the right hand or forehead. This will be "the mark of the Beast." Without it no one will be able to sell or buy anything. The Bible says, "He causes all, both small and great, rich and poor, free and bond, to receive a mark in their right hand, or in their foreheads: that no man might buy or sell, save he that has the mark, or the name of the beast, or the number of his name" (Revelation 9:13,16-17). There will be no middle ground. Those who refuse to accept the mark of the Beast will be killed. Those who accept the mark of the Beast will escape the wrath of the Antichrist, but God's wrath will be poured out on them. 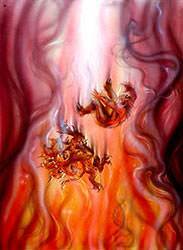 The Bible says, "…the same shall drink the wine of the wrath of God… and he shall be tormented with fire and brimstone… for ever and ever" (Revelation 14:10). God is "not willing that any should perish." God wants all people to have an opportunity to take Christ as Savior. During the reign of the Antichrist, God will send 144,000 evangelists into all the world preaching the gospel. These special servants of God will be protected by Him. 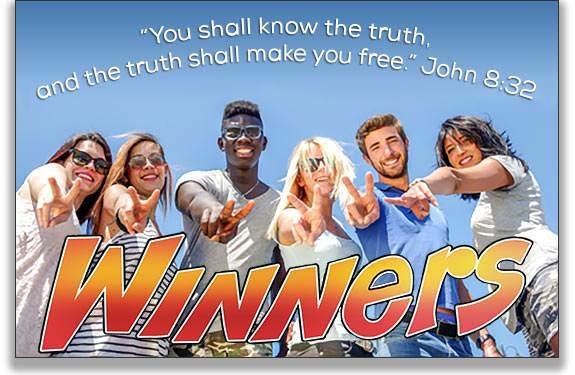 A Bible teacher had been teaching these truths about Christ's coming, and a man said to her, "If what you say is true, and you are suddenly caught up and disappear, then I'll believe!" The teacher replied, "No, you will not! You have heard the gospel today and you rejected it. At that time you will believe the lies of the Antichrist and be damned with him." That man took the Lord Jesus as his Savior right then! The terrible reign of the Antichrist will end suddenly when the Lord Jesus Christ returns to the earth with great power and glory. The believers who have been with Him since the Rapture, and all those who were saved during the Great Tribulation, will be with Him. Dear friend, if you are unsaved, the Lord Jesus is still patiently knocking at the door of your heart. He wants to come in and give you a new life. Will you invite Him to come in? Find a quiet place where you can be alone with Jesus. If the prayer below says what is in your heart, the Lord Jesus would love for you to tell Him this right now! 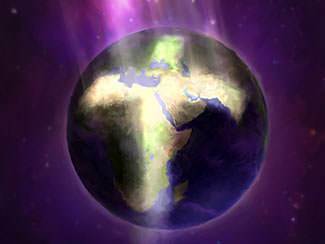 During the Great Tribulation, the Antichrist will reign over the entire world. He will have supernatural powers because Satan will give his power to him. The Antichrist will require all people to receive "the mark of the Beast." Those who refuse will be killed. The first children born to Adam and Eve were two sons, Cain and Abel. Cain farmed the land while Abel took care of the sheep. Cain and Abel had been taught the true way in which to worship God at that time. They were to offer a lamb as a sacrifice for their sins. The lamb was slain; its blood was poured out. The lamb's body was burned as a burnt offering to God. The lamb was a type or picture of Jesus Christ, the Savior, who would one day come to die for the sins of all men. From the very beginning God taught men that without the shedding of blood there could be no forgiveness of sins. God wants us to understand that we are not saved by what we do for Him, but by what He has done for us in the Person of His Son. In the course of time, both Cain and Abel brought their offerings to God. Cain was a farmer and he brought the fruit of the ground for his offering. 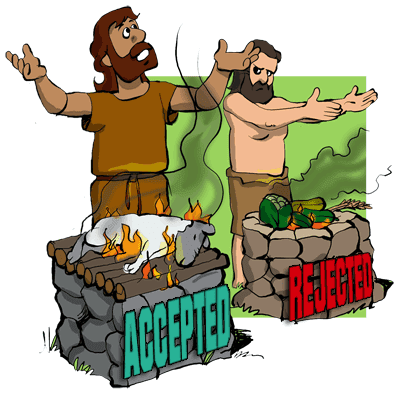 No doubt he brought beautiful vegetables and fruit, but God rejected his offering. Abel brought a lamb as an offering to God for his sins. The lamb was killed. Its blood was poured out. Abel was saying, "Lord, I thank You for making a way for me to be forgiven of my sins and to be accepted by You." God accepted Abel's offering. Since the time of Cain and Abel, there have always been these two kinds of worshippers: (1) True worshippers, like Abel, who come to God, trusting in the Lord Jesus and His blood which was shed for them, and (2) False worshippers, like Cain, who try to come to God in their own way. But God has never accepted anyone outside of Christ, and He never will.